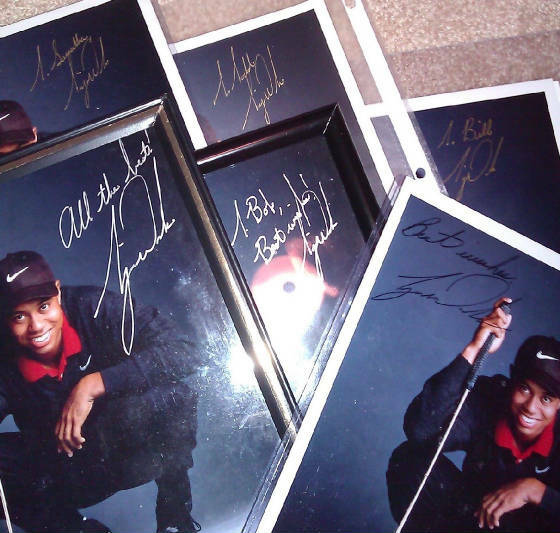 Tiger Woods autograph has changed or evolved over the past 10 years here you can see examples of earlier autographs to today current autograph. 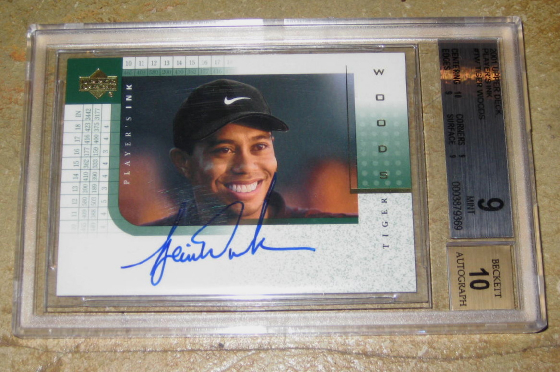 Tiger Woods autograph is extremely difficult to obtain in person. 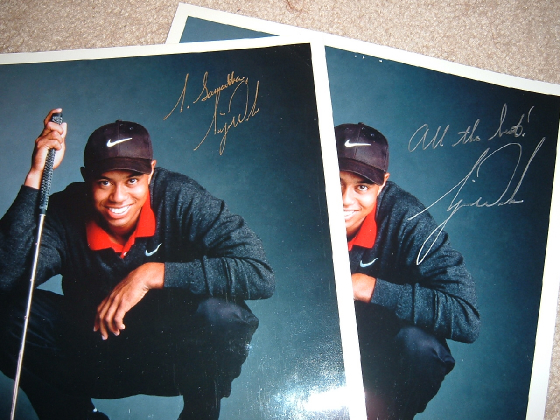 He does not feel bad about turning you down for a autograph. 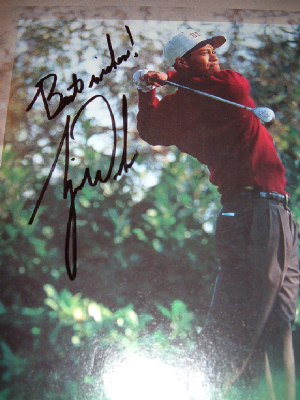 I have chased him for the past 10 years and in the past 8 I have only received one in-person autograph. 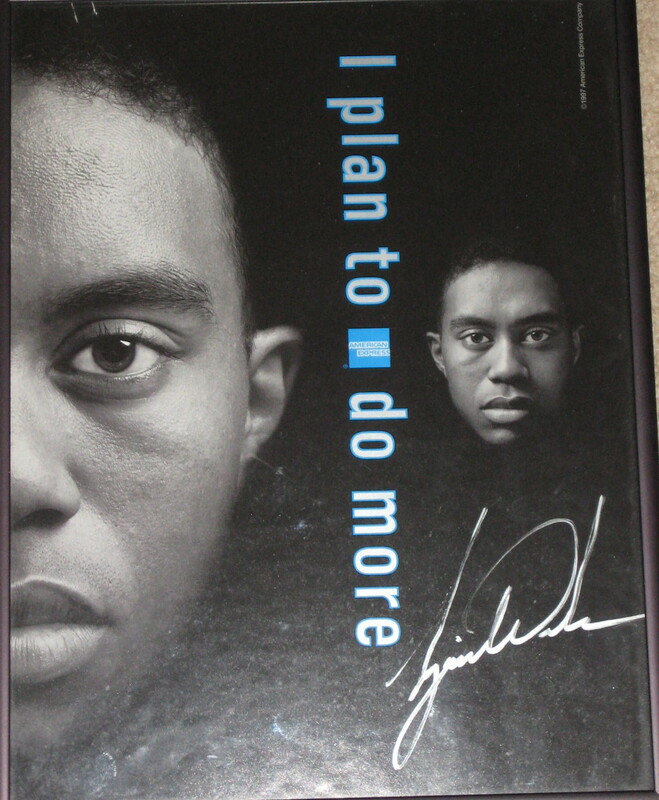 The first 2 years before he won the Masters he went down the line and signed for everyone who wanted it. 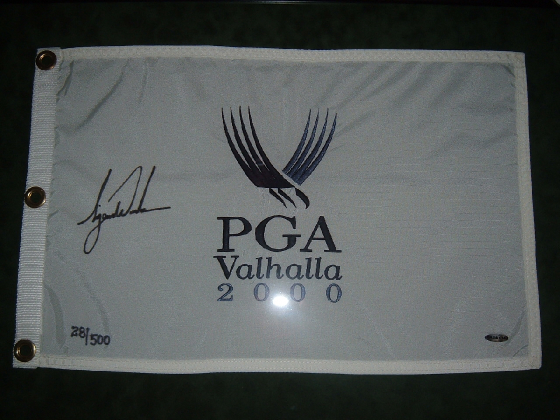 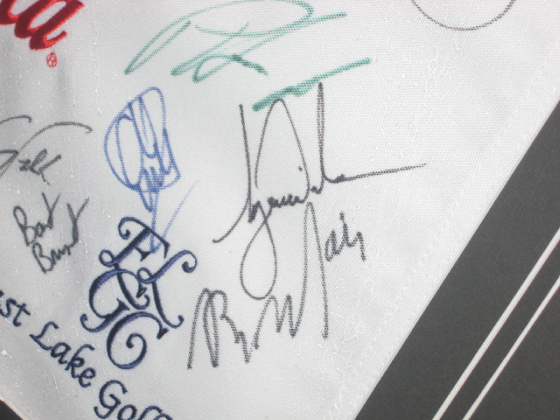 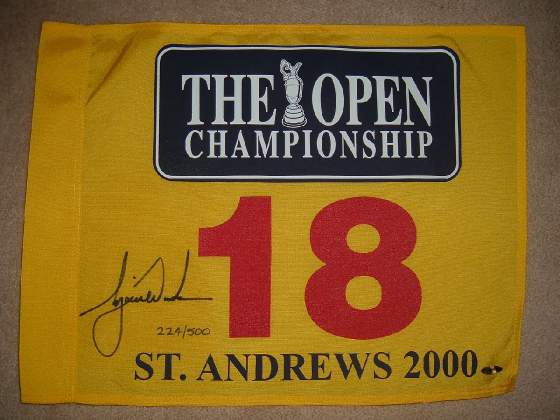 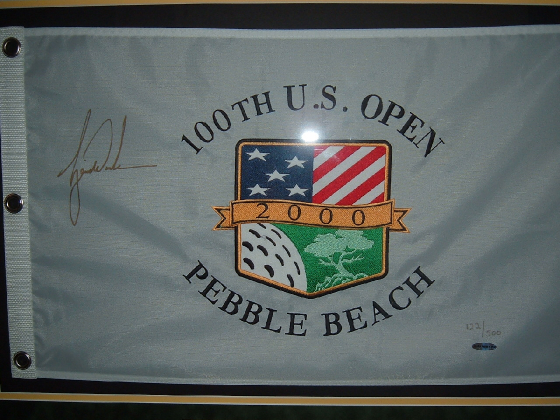 At tournaments he will almost always only signed the Tournament Flag of that week. 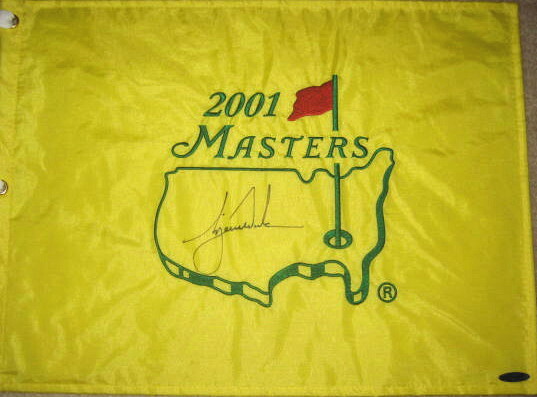 And he will not sign single signed flags without personalizing it. 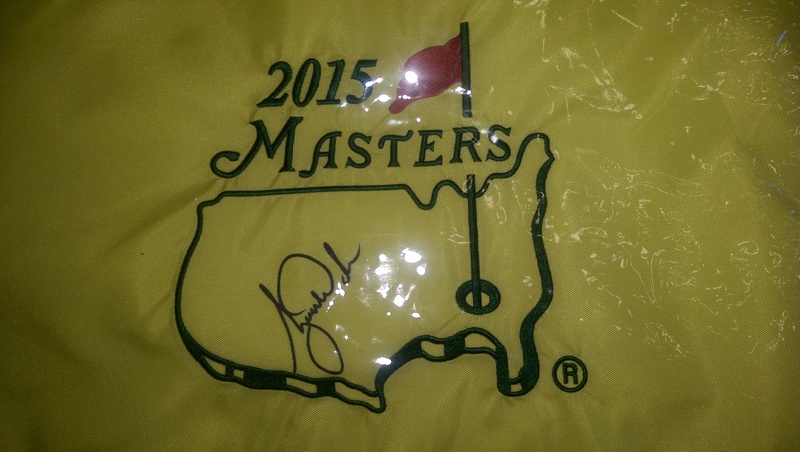 It is common for him to go down a autograph line with 200-300 people trying to get an autograph and he might only sign 4-5 autographs. 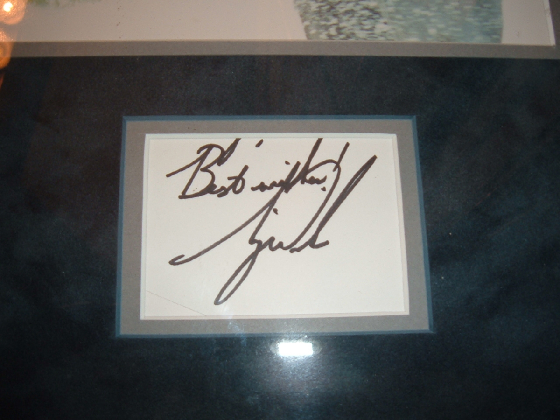 Be VERY wary of his autograph as most of his autographs are forged. 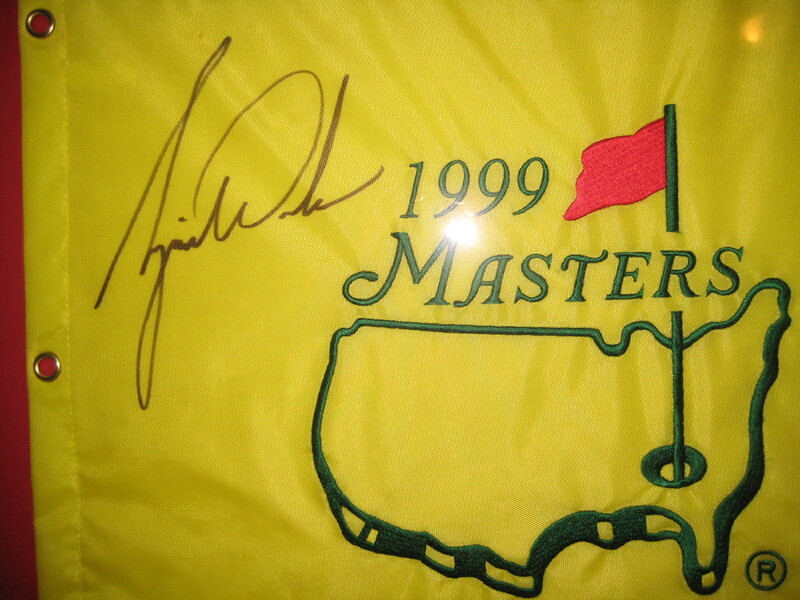 This autograph was signed April 6 2006 right in front of me for an Augusta National employee. 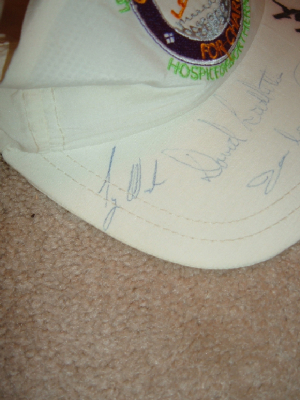 I attended the Masters for almost the entire week and only saw Tiger sign about 20 autographs, all hats. 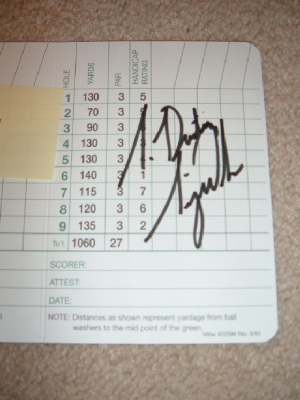 He would not sign this scorecard for an average fan just for someone connected to the tournament. 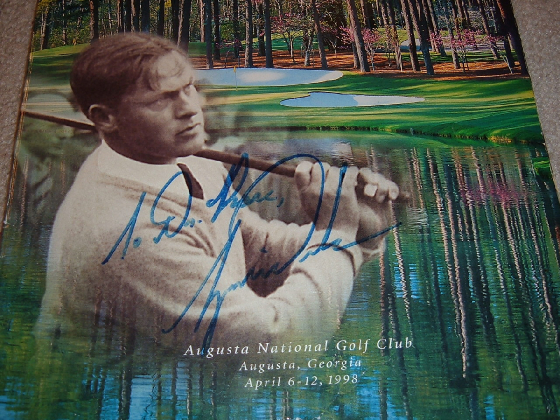 A signed spectators guide signed April 5 2006 for an employee of Augusta National. 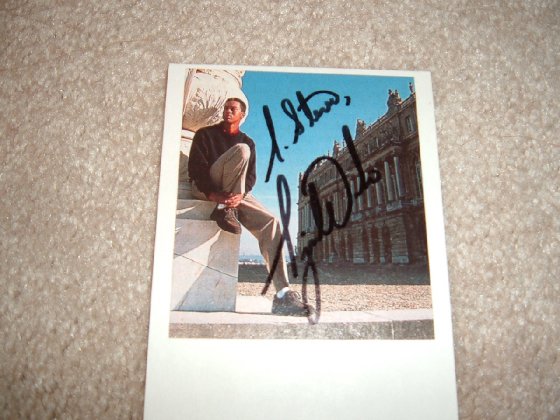 Very Rare and with a huge bold autograph. 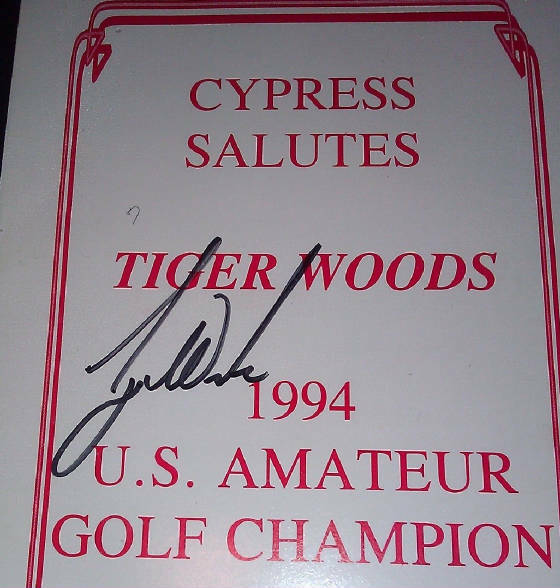 This is the only autograph I have received in person from Tiger in the past 7-8 years he is that tough. 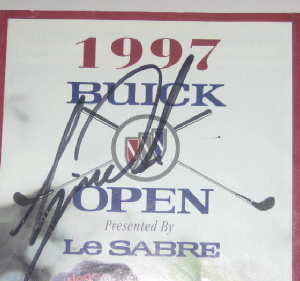 Multi signed golf program With a slight smear to Tiger's autograph. 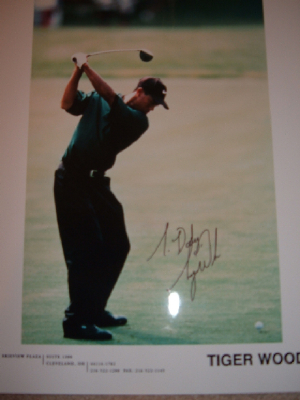 I was able to get Tiger's autograph at the Tour Championship 2007. 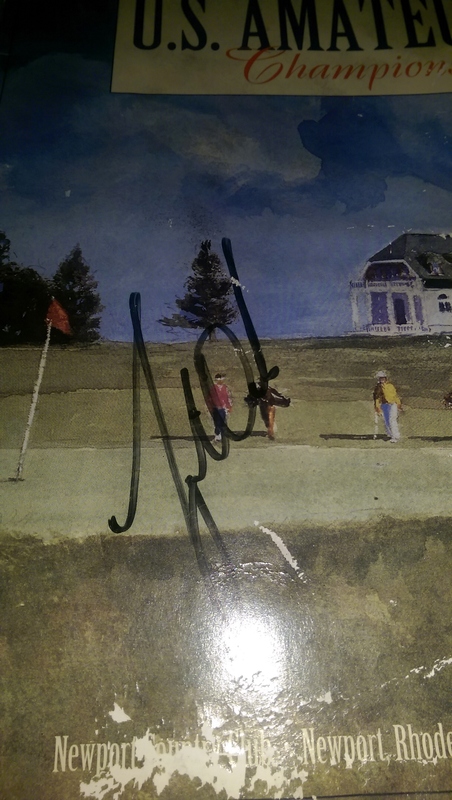 This is only the second in-person Tiger autograph I have received since his 1997 Masters victory. 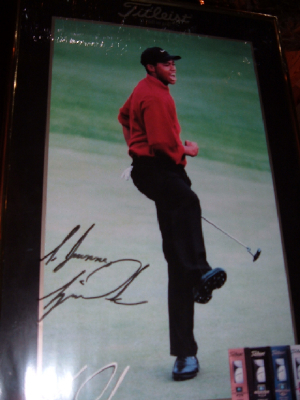 “Although it is doubtful they would pass JSA or PSA “opinion” (they don’t like to authenticate Tiger golf balls), it is my opinion that they are indeed authentic. 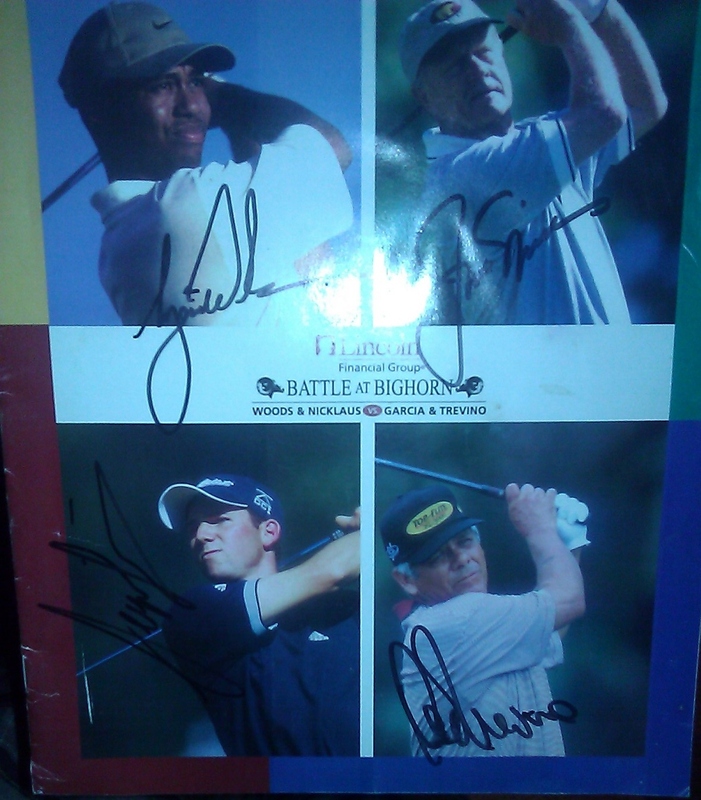 A signed program from the Battle at Bighorn signed by all 4 participants.